The Self Care Manifesto is a free-to-download PDF diary. It challenges you to take a look at your current lifestyle habits and how they can be optimised for self care. First we build habits, then they build us. This book isn’t about escaping to Bali to find yourself, it’s about the small tasks you can complete at home to cover your basic needs – mindset, food, health, finance and hygiene. These core needs build the foundation of your lifestyle. How you manage them largely dictates your out-put. 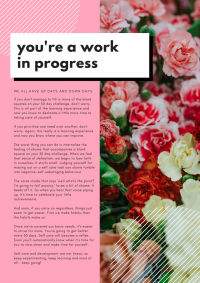 Your self care journey is not linear, but with the Self Care Manifesto you can chart your progress and experiment with activities to find a routine that works for you. Keep up to date with fellow readers on their own personal self care journeys using the hashtag #SelfCareSquad on instagram. Share photos of your notes, insights into your journey and self care suggestions for other readers. We’re here to champion your good days and help you through the tough ones. There’s room for everyone in our self care club. We’re building a community based on respect and care. The hashtag is for you to share – not to compare. Everyone is on their own journey and it’s important to support each other along the way. Find friends, advice and share your story via the #SelfCareSquad on instagram. 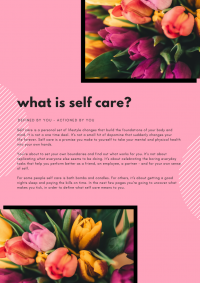 To redeem your free copy of the Self Care Manifesto and to subscribe for future expansion content & the self care newsletter, enter your mailing details below. 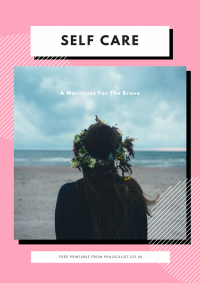 By signing up for a free PDF copy of Self Care Manifesto, you’re signing up for my self care newsletter which you can unsubscribe from at any time. Your data will be passed on to Mailchimp, a third party service, so that I can keep in contact with you. Mailchimp will never be able to access this data for their own personal marketing and you will only hear from me. Your data (name and email address) will not be shared with any other companies for marketing purposes. If at any point you’d like to unsubscribe, your data will be completely deleted from my mailchimp records.